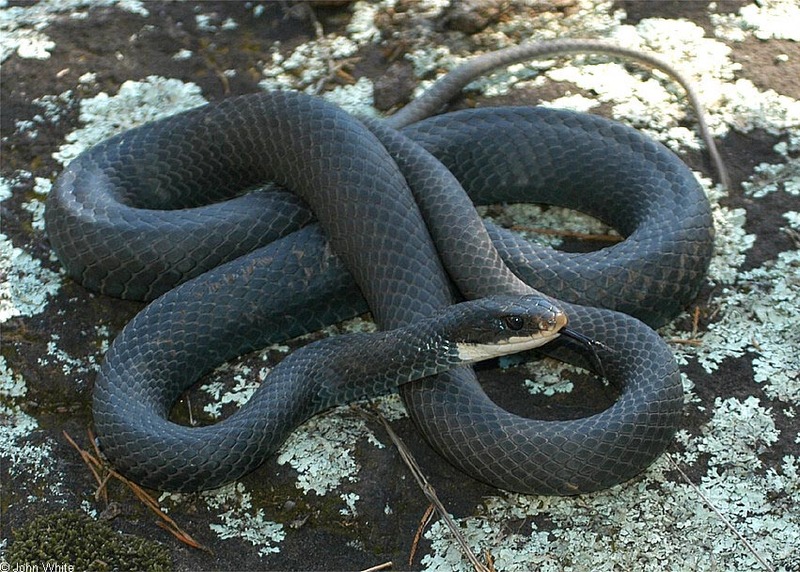 Most snakes aren’t venomous, but quite a few are – there are some really nasty species in the USA. Who wants to share their home with a rattlesnake? Even non-venomous snakes can be a nuisance, too. They don’t tend to cause as much damage as rodents but they can be smelly, so any snakes that invade your home need to go. Many people don’t even want them in the yard – and that’s understandable. After all most people aren’t snake experts, and find it hard to tell harmless ones apart from their less numerous but more frightening venomous cousins. Snakes have their good points, though. If you live in the country and have a lot of rats and mice around, snakes will help keep their numbers down. They’re also mostly inoffensive animals and they play a valuable role in nature, so like any wild animal you shouldn’t interfere with them unless you have to. You definitely want to keep them out of your home though, so the first step in controlling them is to snake-proof your house. That’s not easy, as most snakes can get through a hole smaller than a quarter, but it’s pretty much essential. The good news is a snake-proof home will also be sealed against most other small critters. One solution that’s often effective is to put a snake fence a few feet away from the house. Make it about two feet high, from fine mesh – quarter-inch holes should do it – and bury the lower edge a couple of inches deep. That’s a good solution for old timber homes, where you’re probably never going to seal all the gaps a serpent could wriggle through. Do your best though; concentrate on openings close to the ground, and caulk them securely. If you have basement windows make sure the frames are sealed, or fit screens to them. Don’t forget about exterior parts of your home. If you have a porch, and dead leaves collect under it, that’s a perfect home for a few snakes. The last thing you want is for a couple pf rattlesnakes or copperheads to set themselves up under there. Clear out any leaves and other debris – carefully; use a long-handled rake, just in case you already have slithery guests – then screen off the space underneath with mesh. You might find that despite your efforts it’s too late, and snakes have already moved in. In fact if you have a basement they can access, especially if there are mice in it, that’s more likely than not. If so you have two choices – call in a professional pest controller, or try to trap them. Unless you’re an expert it’s not a good idea to try catching them yourself, but traps are a safe method. A snake trap is a shallow plastic box with a funnel-shaped entrance. It usually has a bait stuck inside the top – pads scented with mouse urine are common and effective. Snakes smell those and crawl inside looking for the mice. Then they can’t get out again; given time they’d manage to turn round and escape, but they don’t have time because what’s on the bottom of the trap is a sticky pad. By the time it’s worked out what’s going on the snake is securely glued to it and isn’t going anywhere. Don’t put snake traps outdoors, because they can catch other small animals; use them indoors and check them daily. If you catch a snake the best solution is to relocate it; get the trap and a can of Pam, drive a couple of miles from your home and find a good spot to release the snake. Then spray it with the oil, put the trap on the ground and wait a few minutes. The lubricated snake should now be able to free itself and escape. Then you can take the trap home, rinse it out and set it out for the next snake. Whatever you do, don’t ditch the trap with a snake caught inside it – it will starve to death. If you absolutely have to kill the snake do it humanely, by releasing then decapitating it. To deter snakes outdoors, look for likely nests or food sources. A rodent problem will become a snake problem sooner or later, so take steps to get rid of rats and mice if you haven’t already. Compost heaps and woodpiles are favorite snake shelters – site them well away from the house. Snakes also like dense undergrowth or shrubbery; as well as resting in there they can use it to get around unobserved. Consider trimming back dense growth or long grass to reduce available cover. As well as the snakes themselves that will help deter the small animals they feed on. You’re never going to eliminate all potential snake food though. Many species, including the common garter snake, will eat insects – crickets are a favorite, so if you’re being kept awake by their chirping at night small snakes could actually be welcome visitors. In general, though, you don’t want a yard that offers them a lot of cover. After eliminating as many snake dens as possible your next line of defense is snake repellant. There are a lot of these on the market, including a wide range of non-toxic ones – stick with those, because that way you won’t harm any other animals or plants. Snake repellant can come as granules, powder or a liquid spray. Liquids are fine for sheltered areas but out in the open they’ll be washed away by the weather pretty quickly, so keep them for basements and outbuildings. Granules will usually give the longest-lasting protection outdoors. Another option is to use ultrasound devices. There’s some debate about whether these actually bother snakes, but they definitely repel small rodents so they’re probably worth trying. After all snakes go where the food is, so if you can drive rats and mice away reptiles will be less interested. A battery or mains powered unit’s likely to be most effective; you can get solar-powered ones, but most of these only work in daylight and the animals you want to drive away are often nocturnal. Snakes can be persistent pests, but it is possible to keep them out of your home and make your property unattractive for them. You just need to make access difficult and take away the sort of shelter they like, then concentrate on eliminating their food sources. Do that and you’ll be able to enjoy your yard without worrying about slithery visitors. Are mothballs effective against snakes?